ILY Hands with 18 Chain is a lovely piece of jewelry for anyone who is hard of hearing or deaf and whose preferred language is American Sign Language. The ILY Hands with 18 Chain features a yellow and white metal charm that is sculpted into the ALS sign for 'I love you. The 18 inch chain is made of yellow metal and allows for perfect placement around the neck of the wearer. 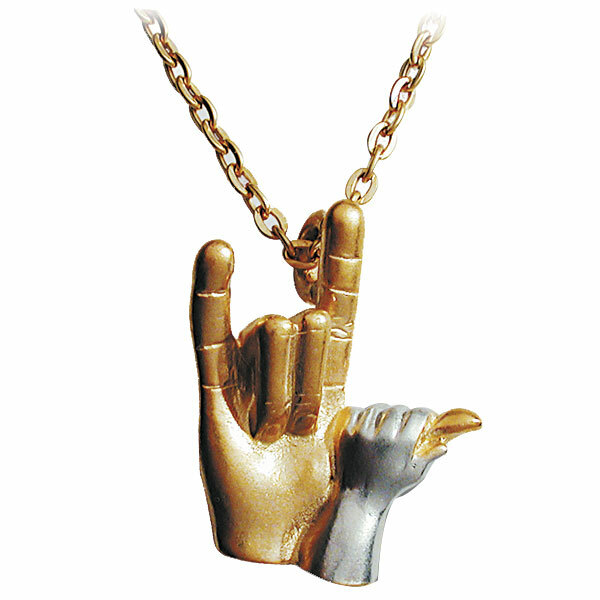 Show someone special how much you love them with the ILY Hands with 18 Chain.